Set in an ideal area for expanding or establishing your business, this center is close to Sapporo City Hall and is surrounded by financial institutions, hotels, restaurants, governmental offices and local branches of major corporations. The area is perfect for project offices or a headquarters / branch office for Hokkaido-based businesses. Located conveniently at the heart of the business district, and close to a good range of stations, this serviced office centre boasts great views and has been recently refurbished to provide excellent office facilities that will help your business grow. 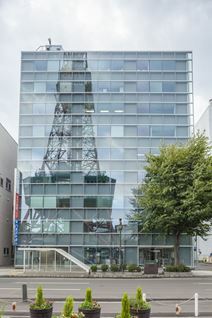 Located next to the Sosei River this centre is part of Sosei 1.1.1, a redevelopment area that will provide a landmark and new communication centre for the media. Flexible and fully equipped office space is available.